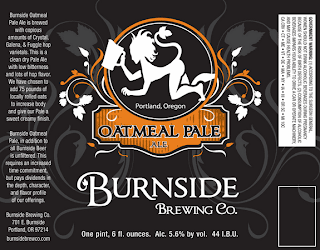 "Burnside Oatmeal Pale Ale is brewed using copious amounts of Crystal, Galena, & Fuggle hop varietals. This is a clean dry Pale Ale with low bitterness and lots of hop flavor. We have chosen to add 75 pounds of locally rolled oats to increase body and give our Pale a sweet creamy finish"
- Pours a nice copper clear ale with a robust beige light white head... big retention and thick head settles to yet a thin solid pillow of creamy foam and lace about the glass. Certainly pretty, and shows signs of excellent yeast activity. - Wonderful fresh herbal and grassy bitter hop aromas with a balancing bready character from the oats, and a zesty hop pine essence. Balanced caramel sweetness compliments the perfect hop additions.. truly a nice smelling beer. - Good enough to bottle. That is what I say anyway. The caramel and pine and bitter hop represents well, and this is truly a nice pale... though a touch robust in flavor, and it seems perhaps pulled a touch early. It does show some aceto-like traits of high esters and cider-like tartness. However, it is tasty yet, and to be had fresh as possible. Balance is king, and it's early boil bitterness is unmatched. - Solid medium body and is very well carbonated, almost too much so... though it makes the beer look stellar. Bit drying from the bitter hops which is wonderful, and only a touch chewy and cloying. 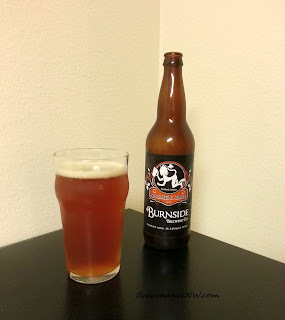 - This beer is pretty, and is made with what seems like great ingredients. It is balanced, nicely bittered, and sits in a glass perfectly for a nice amount of time. There are some off flavors however that equate to tartness from an early pull, or ester-like aceto in the mix. 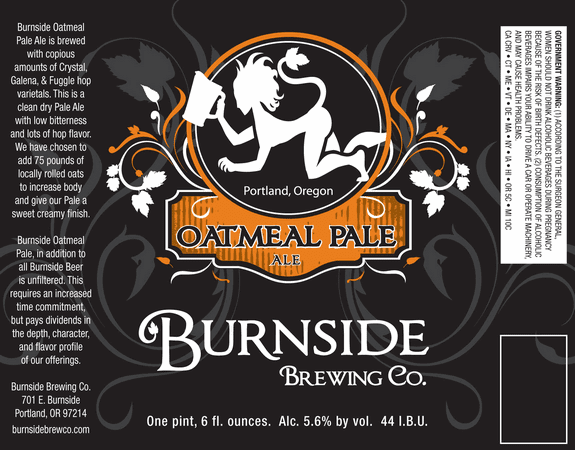 If that wasn't present, this would be up there with the likes of Fort George's Sunrise.. though for me, that is a hard oatmeal pale to beat.